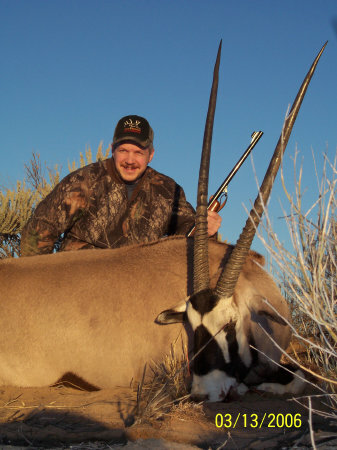 Professional taxidermist services to prepare, stuff, and mount all types of trophy animals. We cater to hunters, whether you are an amateur, hobbyist or seasoned hunter. Animal specialtists in anatomy, sculpture, painting and tanning of elk, deer, bear, moose, cougar, black bear, mountain lions... just to name some of the animals we preserve. Rod's Taxidermy is a local Seattle area taxidermist serving the Snohomish County, King County, Skagit and Whatcom areas for high quality, lifetime hunting mounts and trophy's you will be proud of. 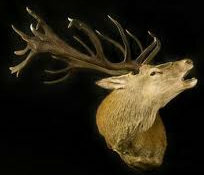 Our top taxidermist specializes in Elk Shoulder Mounts, Bear Rugs, Horn Mounts And Deer Shoulder Mounts. We also do lifesize Grizzly Bear Taxidermy, Bear Heads and Shoulders and all Deer and Elk Hunting Trophies. Come see our show room for low cost, economical taxidermy... yet world class workmanship and artistry for your hunting mounts or hunting trophy room. 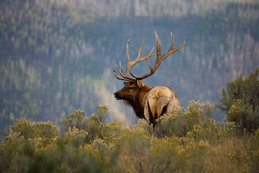 We love elk hunting in Western Washington, Eastern Washington or Oregon Montana, Idaho or Wyoming or Alaska hunting trips - and all kinds of wild game such as bear, deer, elk and moose. 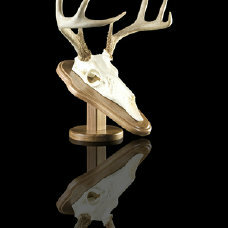 We specialize in hunting taxidermy trophies that will last a lifetime. Nothing looks better in an office, den or trophy room than high quality and economical shoulder mounts and rugs.